Google Alerts is an amazing feature for Gmail users who wish to get updates about their relevant interests and preference. Google Alerts is basically a content change detection and notification tool which sends a notification email to the user each time it finds a new result like newspaper articles, pages, blogs, or scientific research. The results are based on the search term(s) of the user(s) in Google Search. If you wish to activate Google Alerts for your Gmail account, you can easily do so by following the instructions provided below. 1.) On your computer, go to Google Alerts feature via link https://www.google.com/alerts. 2.) On the Google Alerts page, simply enter a topic which you wish to get updates about in the field which says “Create an alert about”. 4.) If you don’t wish to modify settings for your topic, simply click on the Create Alert button. However, if you wish to make some changes to the notification of the topic you are adding, click on the “Show options” option. To make changes to these options, simply click on the options next to each item. Choose the appropriate option from the list. 6.) When you are done making changes, click on the Create Alert button. Your Google Alert will get created. Google will send an email to your email address each time it finds any matching search result to your topic. In future, if you ever wish to edit the alert you created, you will be able to edit it by following these steps. 1.) 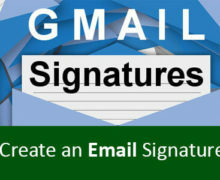 Go to the Google Alerts page via link https://www.google.com/alerts. 2.) Once you are on the Google Alert page, simply click on the Edit option (Pen icon) next to the alert you wish to edit. NOTE: If you don’t see any options, click on the “Show options” option. 3.) Make the required changes to the alert, and when done, click on the Update Alert option. 4.) If you wish to make changes as to how to get alerts, click on the Settings option (Gear icon). Check the options you wish and click on the Save option. 5.) The changes made by you will be saved and updated. 2.) On the Google Alerts page, click on the Trash icon next to the alert which you wish to delete. 3.) 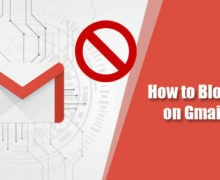 Once clicked on the Trash icon, the alert will be removed from your Google account and you will not receive further emails related to the topic as configured by you. 4.) Alternatively, you can also delete an alert by clicking on the Unsubscribe option located at the bottom of an alert email. So, this is how you can easily set up, edit, and delete a Google Alert in Gmail. Previous How to Synchronize Outlook Data with Yahoo? NextHow to Create an Online Bitcoin Wallet?